One thing that I've always found remarkable about this fandom is the pure generosity friends show each other. Within the past few weeks, I've been given fairly rare toys simply because of friendship. 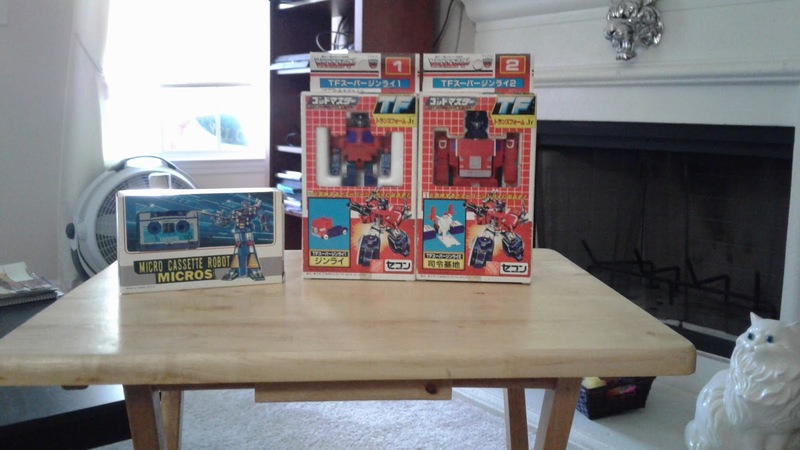 On the right is the Transformers JR Super Ginrai set. My friend Graham sent me these after seeing how much I love Powermaster Optimus Prime. All on his own, just sent me some toys all the way from his home in the UK. On the left is a k.o of a Microman Frenzy from the 80's that my friend Jesse sent me in a random box of toys just because he felt like sending me some stuff. It's funny how many awesome people I've met and friends I've made thanks to this wonderful hobby. It's not just about cool toys, neat comics, and great cartoons. It's about the people and I think that's my favorite part of it all.